Last year, Keizerite Dan Kohler heard the city was looking for help in removing wood chips from The Big Toy in Keizer Rapids Park. When he approached Keizer Public Works Director Bill Lawyer with a proposal to get the job done in a day, Lawyer was skeptical to say the least. “Bill looked at me and said, ‘There is no way you can do that.’ Inside I said, ‘I’ll take that challenge.’” Kohler said. mid-Willamette Valley as well as other organizations and the community at large, Kohler enlisted several hundred volunteers to remove 600 cubic feet of wood chips to make way for a pour-in-place surface in six hours. When the volunteers were done, it only took city staff about a day to finish the job. Lawyer later estimated it saved the city about $6,000 in city resources. 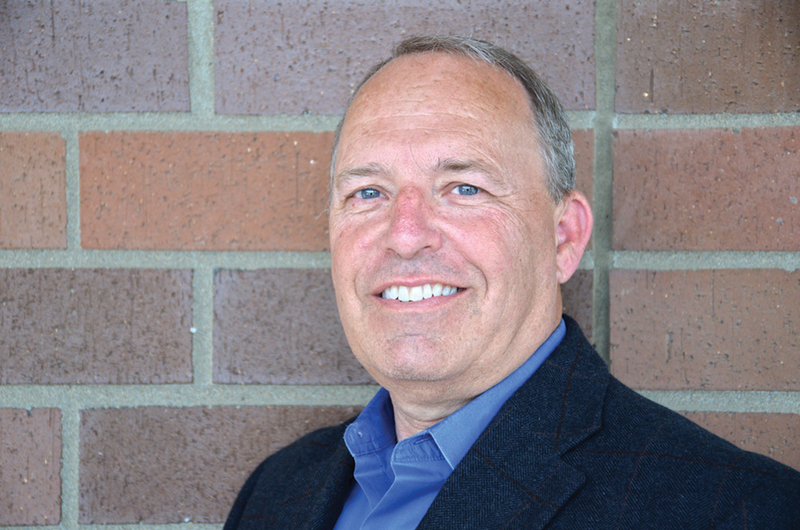 Kohler is now planning to run to replace sitting Councilor Bruce Anderson in Position 6 on the Keizer City Council. Anderson is stepping away from the council after being appointed to finish out the term of Brandon Smith when Smith moved to Salem. Keizer voters will determine who replaces Anderson this November. “I had a number of people who approached me and said this is something I should consider. When I found out Bruce was stepping down, I felt like it was time to step up,” Kohler said. Kohler is president of Professional Preneeds, a business that assists families with putting in place funeral arrangements. He’s also a licensed funeral director and embalmer. Given the nature of his business, which requires sometimes difficult conversations around a topic no one particularly enjoys, Kohler said the thing he can bring to the council is attentive listening. Chief among the concerns Kohler expects to be a voice in are planning Keizer’s growth, traffic along River Road North, how to develop the dwindling open spaces left in city limits and trying to figure out how to get the city’s youth baseball organizations to get along. On the topic of growth, Kohler said a recent trip to Kansas City informed his latest views on the issue. How and whether to change the way property develops along River Road Norths goes hand-in-hand with the city’s overall trajectory and Kohler wanted to do more listening there as well. “We just need to hear from all the parties involved and do what’s right. You have to examine what’s best even if it’s unpopular with some people. Somebody is going to be unhappy no matter what, but we have to do what benefits the majority,” Kohler said. There’s also an opportunity for the city to benefit from Kohler’s experience with large-scale volunteer efforts, particularly at a time when several recent projects – such as The Big Toy construction and the Keizer Eclipse Festival – fell short of helping hands. While a couple of hundred people turned out to remove wood chips at The Big Toy, Kohler had different groups sign up for two-hour shifts so there were never large numbers milling about without work to do and those that were helping knew they could expect relief. As a result of that effort, and others in the community, Anderson had no trouble endorsing Kohler as his replacement. “He’s demonstrated a clear commitment to service and done so many things in the community to prepare him for a place on the council. The Big Toy (chip removal) was an immense project and that level of commitment to the community is a huge statement about where his priorities with respect to this community lie,” Anderson said.